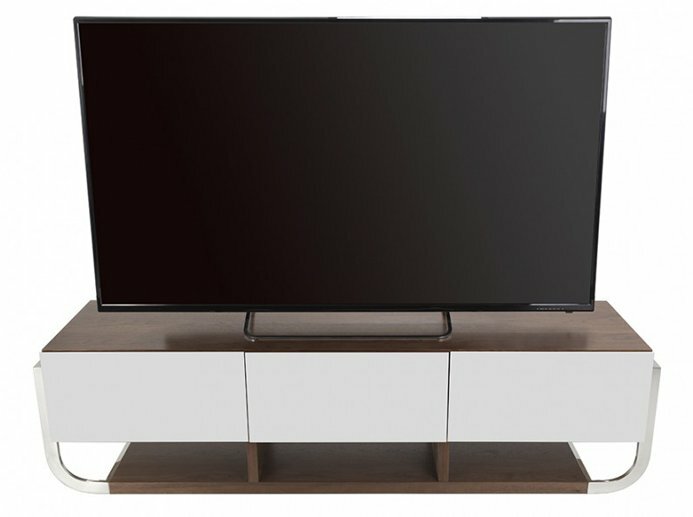 The Clifton TV stand from AVF has a substantial presence with a clean, chunky feel. Having generous closed storage, plus extra open storage space at the base. While the contrasting chrome endcaps provide a stylish yet unfussy finishing touch. Please note: Screens larger than 72" will overhand the stand at the sides, this is perfectly safe & normal. 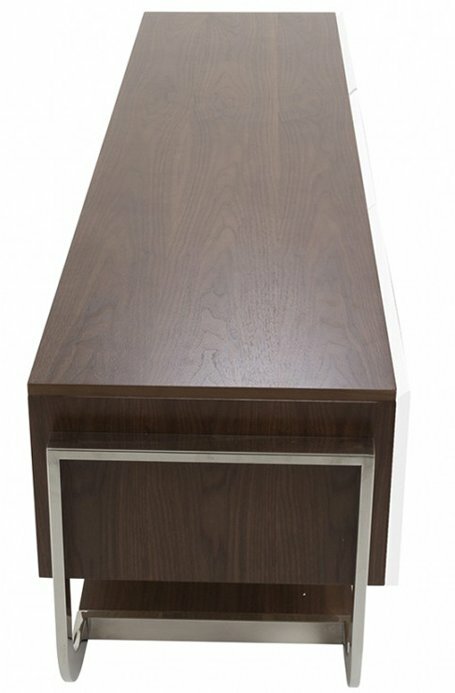 All measurements supplied are for overall sizes. Please check your product or contact us if unsure.